The rain had pounded the lake all night. When I arrived one of the chicks was working hard to groom and get dry. The biggest female chick was vigorously tearing apart a fish. The third chick was tucked behind and low down in the nest. 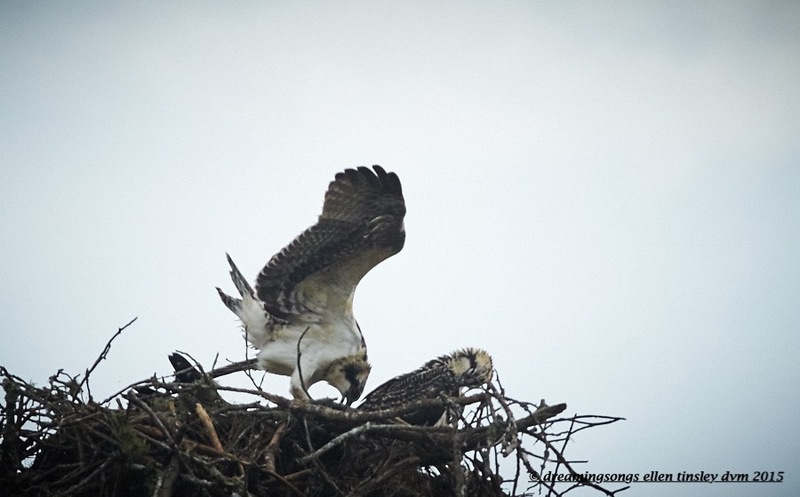 Posted in birds, Jordan Lake, ospreys of Jordan Lake, photography, wild birds and tagged as immature osprey, Jordan Lake, osprey, ospreys of Jordan Lake, raptor.